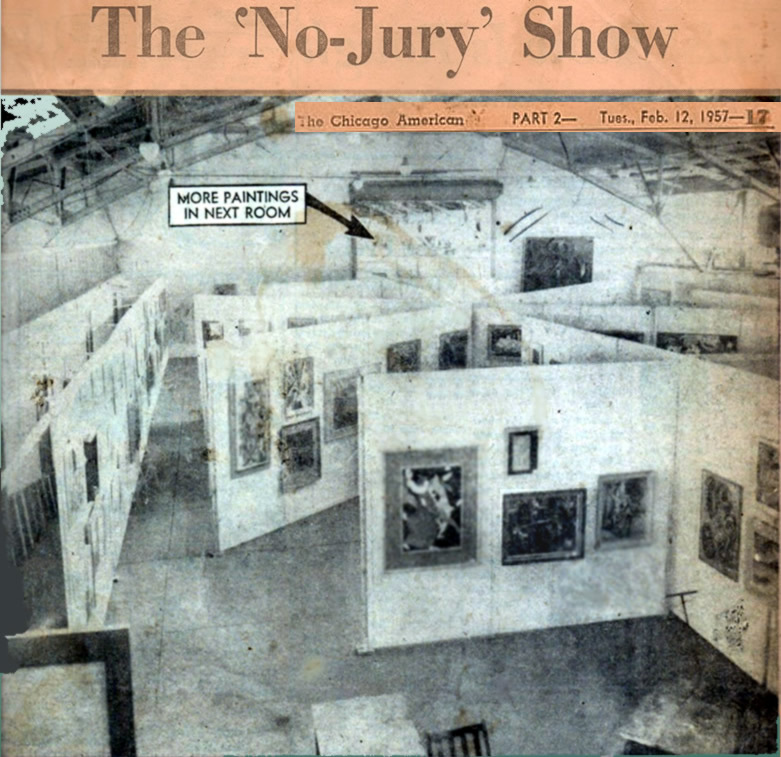 The Cover of the Exhibition. 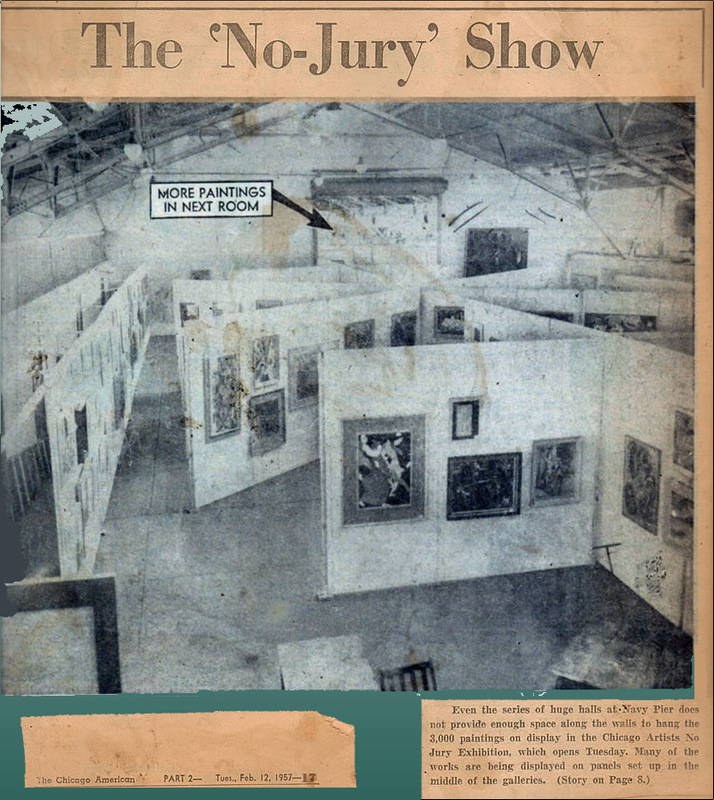 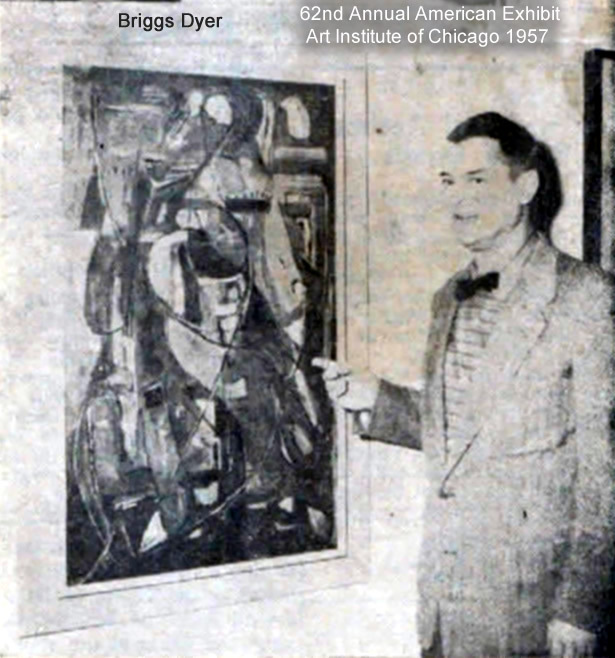 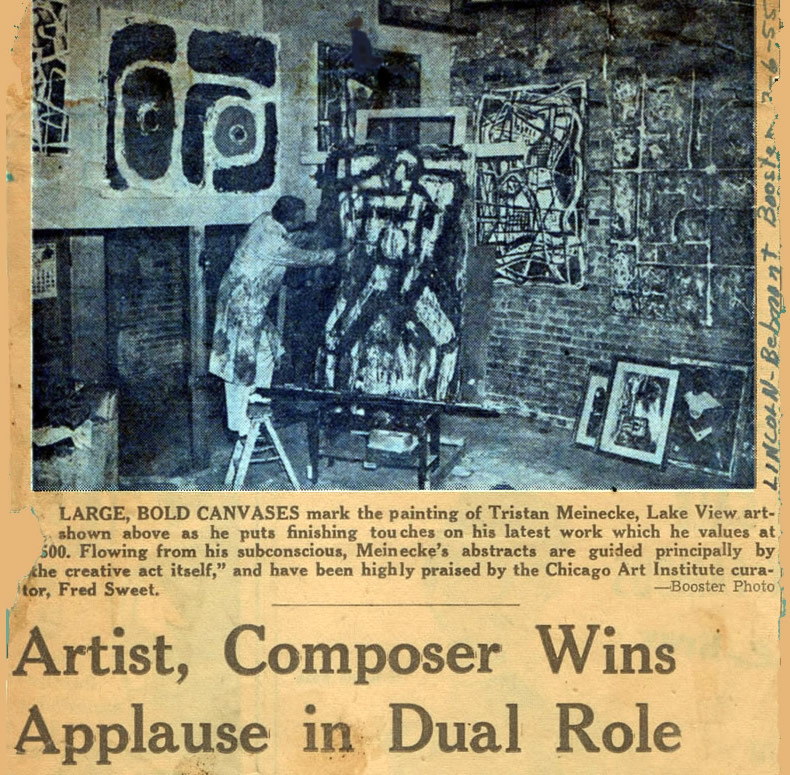 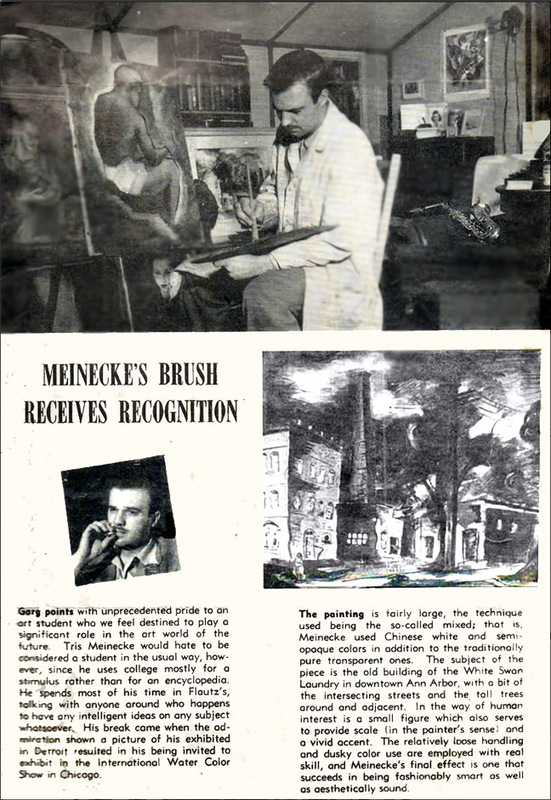 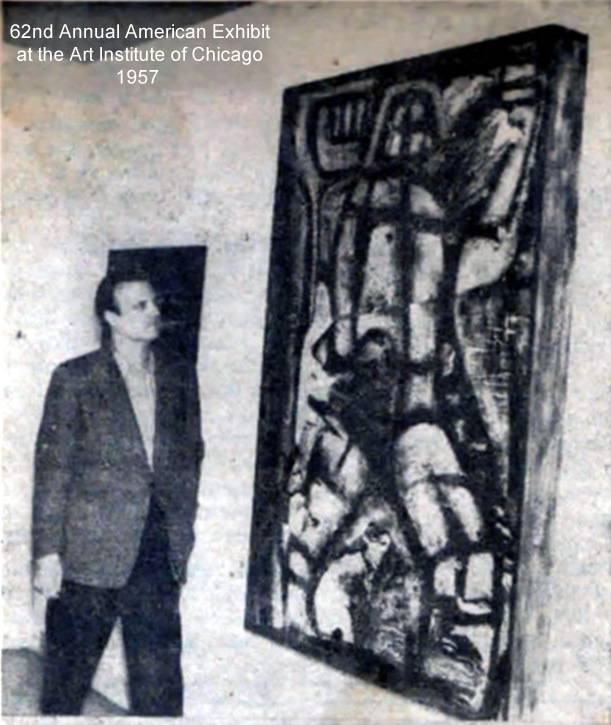 1957 Chicago Artists "No Jury Exhibition"
The Stains on the photo are caused by glue seeping through the paper. 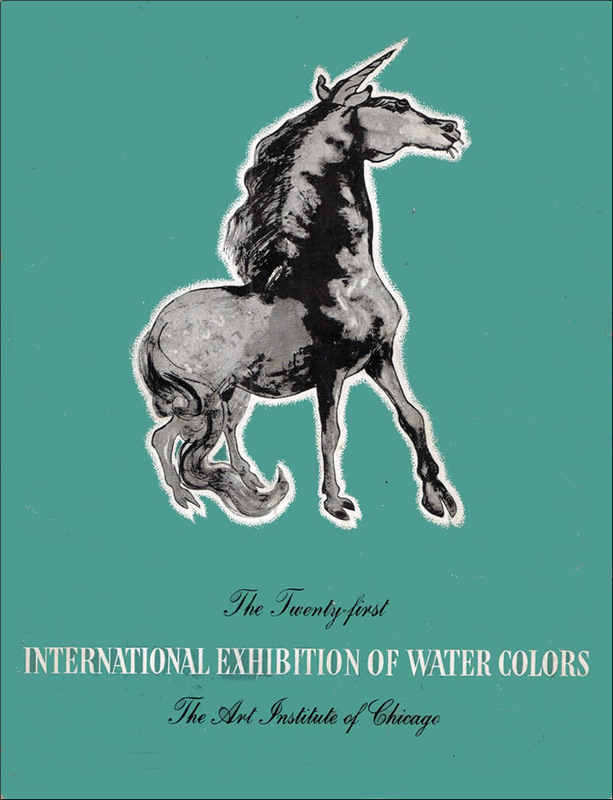 Click Here for the Official Catalog of the Exhibit. 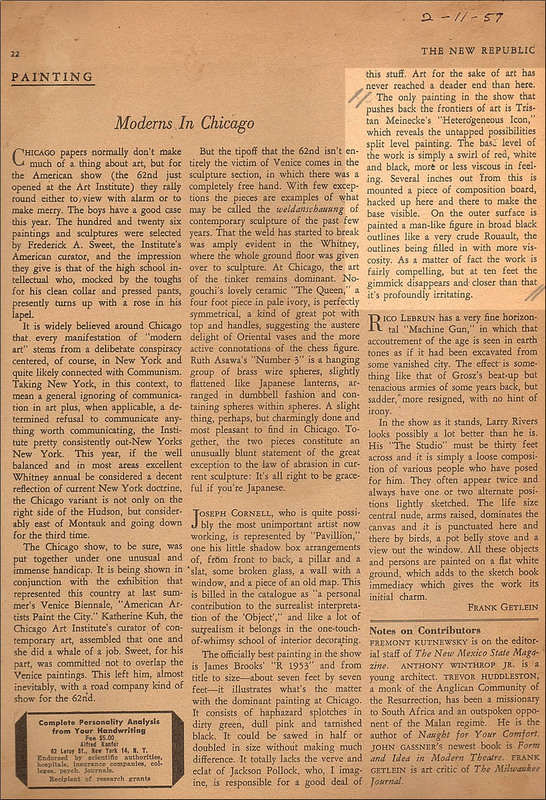 The 62nd American Show -- Fascinating description of the friction between Chicago and New York. 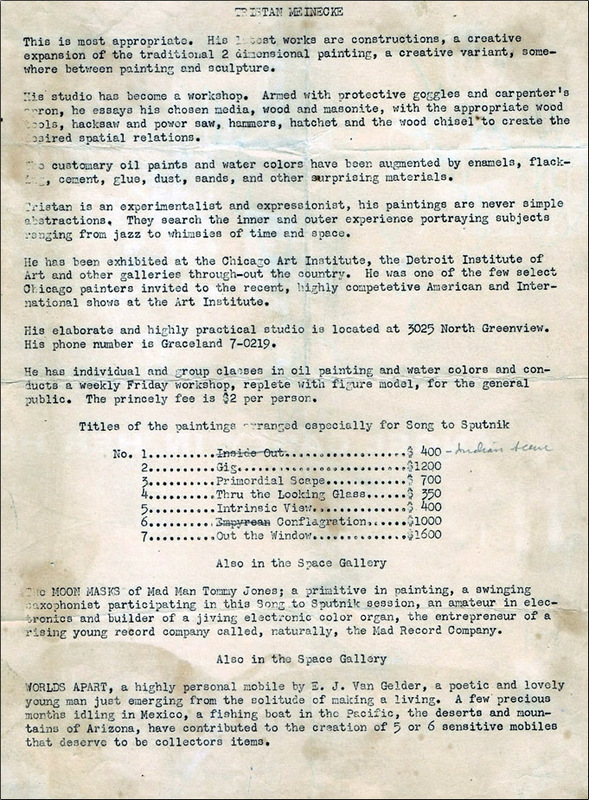 Review or Press Release for the Space Gallery -- 1957 or 58. 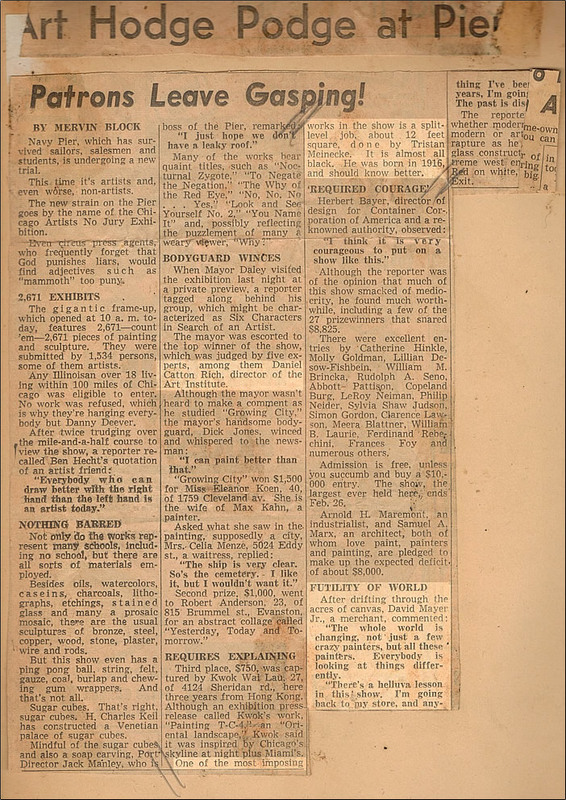 As you see from reading the above, society was on the cusp of great change and turmoil. 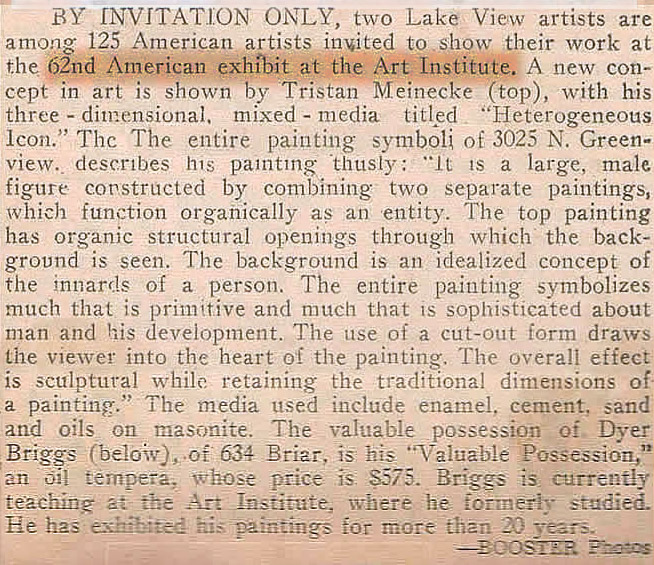 One gets the sense from the above article that people knew it.